The current debate at the BS Haus: Stick with one kid, or try for more? And if we do try for more, how many, and when? I cannot imagine having grown up without a sister, or a sibling. I love, love that there’s someone else in the world that I can laugh about our family, our experiences with. Would I be able to laugh about that Christmas where we wanted to play carols on the piano at the Fun Home with Mom, but we couldn’t find the piano because all the room were filled for viewings or, because many people seem to die in the late fall, the rooms and even some halls had bodies in them, and we eventually found the piano in the casket room and had a grand time with carols from an old hymnal, with anyone else besides my sister? Most people have stopped listening with a horrified look on their face a quarter of the way through that story. I waaaaaant another baby, for no reason other than I waaaaaaant one. It’d be nice to try to time this one’s arrival a bit, for summer semester when things are a bit quieter for Jeremy to allow him to teach less. We’d talked about this earlier and had first decided on 3.5 year gap, then decided to push the decision back to 4.5 years… but the comments from coworkers with kids at that gap really bother me, that the kids don’t play together: the older kid is too far removed from those developmental stages (the younger being 2.5 years old, same age as Lena), that they do not play together or even watch similar shows if the parents need to cook dinner or something. To me, one of the benefits of having multiple children has got to be that they play together, so raising singletons for a few years seems to defeat the purpose all together. Waaaaaaaaaant to be pregnant again. I have no idea why, because I hated so much knowing when the neighbors opened the refrigerator. I liked eating french fries for dinner every night for months. 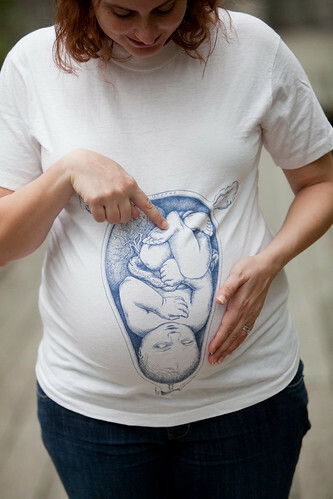 I liked having fun with pregnancy, and I liked that Lena was so cool with most things when we went out and did stuff. I have a better idea of when to ask for help, and with what, now. Maybe post-partum wouldn’t be so horrible this time around. 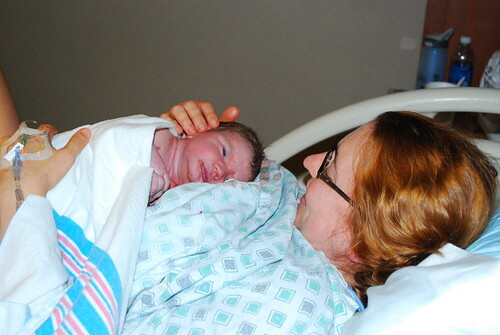 I still have a hard time talking about, or thinking about, the full story of her birth. Especially the screaming time. And the horrible midwife. And pulling stitches and the follow-up surgery, which doesn’t include the escaped IUD and that removal surgery. Lena’s so great. And we have no idea that a next kid will even be nearly as awesome as she is. We know how much we have to lose, now, in comparison to the Alien, where we only had an idea of how much we might gain. Would we even like another kid, or just spend all our time comparing the two? I could easily see how one kid would just fit in with our life and we could roll with it, and seeing examples with friends of how one kid still allowed everyone to keep on doing what they were doing (after the initial hiccup of having a newborn). I’m having a harder time seeing how 2 kids just fits in with our lives and would let us keep doing things. I don’t know how much of it is a function of not having time to talk about it because of newborn hiccup, or the oldest kid getting older, or something else. I’m really liking how much control I’ve gotten over my weight/body. I’m starting to like how I look now and I’m not sure that I want to give it up. High doses of Zoloft and a lot of therapy. Maybe things will be different. Maybe they won’t. So, in conclusion, we’re not of the same mind about another kid, or when to try for another kid if we decide to go for it, from day to day. Today, Lena’s awesome as an only kid. Yesterday, we waaaaaaanted her to have a sibling. The day before that, we disagreed about it. Because it just worked. We’d been debating names, not agreeing on much. Sure, there were names we liked, but we couldn’t see calling our kid those names. Tentatively, we had picked Annaleise Caroline for a girl. It almost seemed right, but didn’t *quite* fit. TCB wasn’t 100% on board with the “Leeza” sounding part, knowing it’d never get pronounced correctly, and I was sad about not getting my favorite name, Lena. we liked it, but wanted a name that lent itself to an easy nickname with the full name available be used when needed, like my name. Plus, screw those standardized test name lengths. Her last name already won’t fit. And then, watching House Hunters International one night, the woman looking for a house in Sweden was named “Annalena”. And we were all, “it’s a real name? !” googled it, loved it, and then talked about why we loved it. Both of our mothers have Ann in their name, my grandmother’s first name (that she didn’t use) was Anna, the name starts with an A (but comes between our names in the alphabet), TCB’s middle name is Lee, named for his grandfather Leroy, and it has many options for when to call her. And that’s how we picked her name, it just sort of fell together and we couldn’t have crafted a better one from scratch. The boy name we didn’t use? Leland Alexander. A little vain, naming him so closely after ourselves, but this alien was destined to be Lee or Lena. Annalena Evelyn, 11-23, 11:40 pm, 9lbs 10oz, 22in. I had been worried that I would resent or reject this thing coming out of me, and now I can’t get enough of her. Friday, work put me on leave. I had to call HR many times, get things faxed in from the obgyn office and get my passwords reset to get back to "active" status. We only delayed the start date a week to this Friday, and I’m seriously considering just starting it then if there’s no kid yet. I really hate having to get dressed and sit at my desk, and I won’t make it to after the Thanksgiving holiday, so 1-2 days… I’m ok with that if I don’t have to put on "real" clothes to go into the office. Stretch marks- I don’t know why people say they don’t hurt, because they do hurt me. When they’re appearing, they hurt. I can feel the skin pulling apart, and it is not pleasant. I want to hold it or tape it all together (does not help, just delays the hurt a little.) Rubbing lotion into it does not help and the clear loss of my competitive edge in a "Ms. Fupa" competition is hard to take. I really hate how the skin feels, too. Marks have branched off my appendectomy scar so that looks like a tree. Maybe after this, I’ll get a tree tattoo on the top of the belly button and roots below. Or maybe not. Alien- still really active. I still think it’s trying to get out through my front. This week’s appointment! Traffic was horrible because of the rain! But we left early and got to the office on time with no stress related to time (just stress related to vehicles). And got to wait because they just switched computer systems and they haven’t worked out all the kinks yet, but it sounded like everyone got to wait a little longer. While we waited for the midwife, TCB commented that it sounded like house music coming from next door. So, appointment. Didn’t check my weight, didn’t check fundal height, just listened to the heartbeat, and I had the opportunity to decline an internal check, which I did. It was the part I was least looking forward to, and was very, very happy to put it off for another few days. Then we did a non-stress test and got to listen to our very own house music, which had a faster beat than what we overheard from next door. I loved that TCB got up and started dancing along to the beat. I liked that I had a button to push every time the alien moved, so I could document the dance party that soon started in the pooch. Plus, I like pushing buttons. And looking at printouts from machines made in the Federal Republic of Germany. That test showed great behavior from all parties- kid’s heart rate responded appropriately to activity and the 2 contractions I had while being monitored, but generally it bounced along at around 150bpm. And then we checked the fluid around the alien, which showed appropriate amounts of it. We did have to wait for him to quit squirming, because it was making measuring difficult. Also, I got confirmation that the placenta is indeed exactly where I think it is on my left side, which is where I felt tugging in that week before I knew I was pregnant, and where kicks get painful around the edges of it, then really dull and hard to feel. So, yay, that question getting answered! She scheduled me for an induction with cervadil on Tuesday, so the kid should be out on or before Thanksgiving. I don’t particularly want to get to the induction, but I’m a little relieved to know there’s an end in sight and it’s in the next week. After the appointment, TCB and I bounced down the stairs to his car in the parking deck, to see if that would help start anything. TCB- not in labor. Neither am I. He did get to hide in a stairwell at school because of a tornado warning, though. Is it night, or is it noon? What’s in there, whatcha doin’? Little seed inside the pru-in.